90% Sangiovese, 10% Abrusco (colorino). Maceration on the skins for 12-16 days at controlled temperature of 24°C-27°C (75.2°-80.6°F). 18 months in big casks followed by settling and at least three months in the bottle. 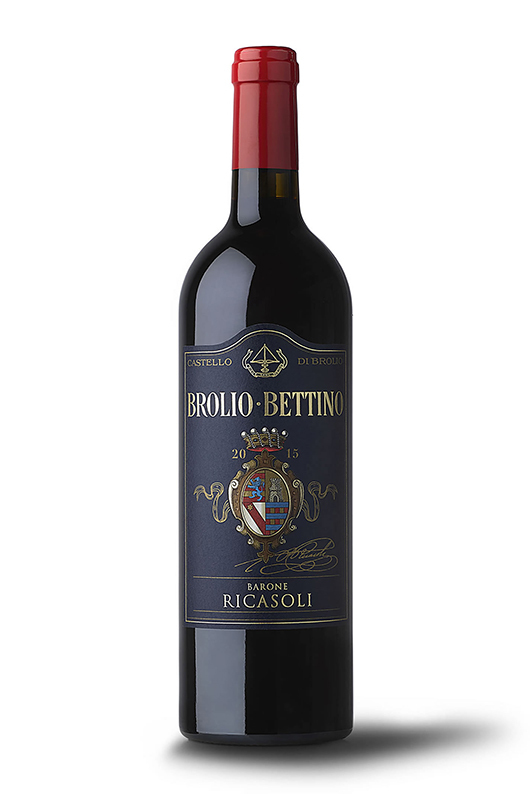 This label is dedicated to Bettino Ricasoli who invented the formula for the production of Chianti in 1872. He was born in Florence on March 9th 1809 and was the son of Baron Luigi and Elisabetta Peruzzi. He played a central role in the history of the Italian Risorgimento. But he was much more than this: he was twice Prime Minister of the united Italy (in 1861 and 1866), founder of the newspaper “La Nazione”, experimenter in agriculture and “father” of the first production regulations for Chianti Classico. When we produced this wine, we tried to follow his will and we worked on those elements that remind us of the style of his time. We mainly used Sangiovese; we did not filter it; and we matured it in big casks. The result was this wine that stands out for its great elegance and character. Intense ruby red colour, fresh notes of ripe red fruit with clear hints of spicy herbs. Full bodied, vigorous taste with mature and minerals warm notes. Enjoyable and tasty.